Crafting With Craig: Your the Bees Knees. Hello and thank you for popping over and having a read of my blog. This blog post is full of tutorial details, pictures and links to the main products I have used from both Hunkydory Crafts and Stix2. 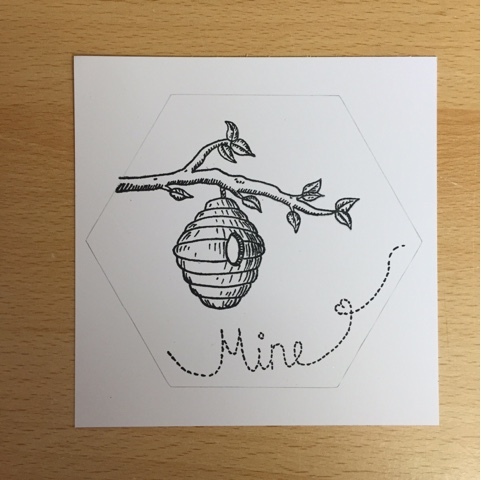 When I was thinking of a design of card to make I started by just stamping out the stamps and when I came to the triple honeycomb stamps on the Bees Knees stamp sheet, I instantly thought of some sort of hexagon shape to have on the front of the card. This is when my ScanNCut yet again comes in very handy indeed. 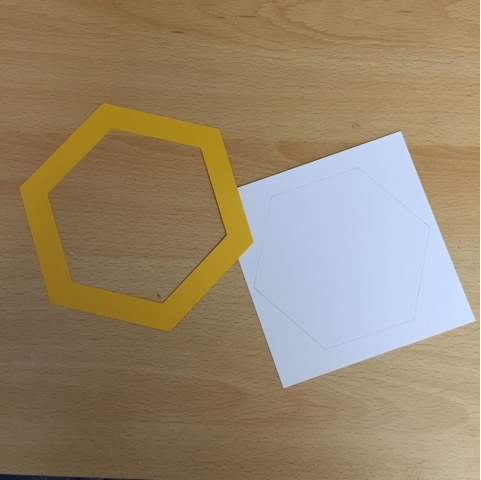 The quickness of setting up the shapes on the screen and cutting them out on all the coloured card stock I wanted them cut out of was very much time saving. It's one of those cards that I really enjoyed creating from the start to finish. Ivory 8x8 card stock - cut down to 7x7"
1- Cut a piece of yellow gingham card stock to 6 3/4" X 6 3/4" and stamp the triple honeycomb design randomly onto the card. 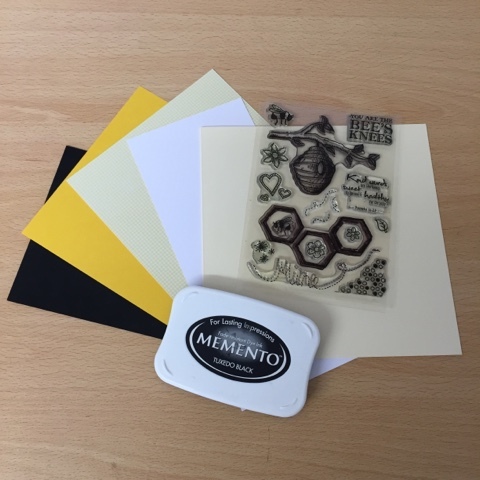 2- Once stamped, Matt onto deep yellow card stock then again onto black card stock. Then attach onto card blank. 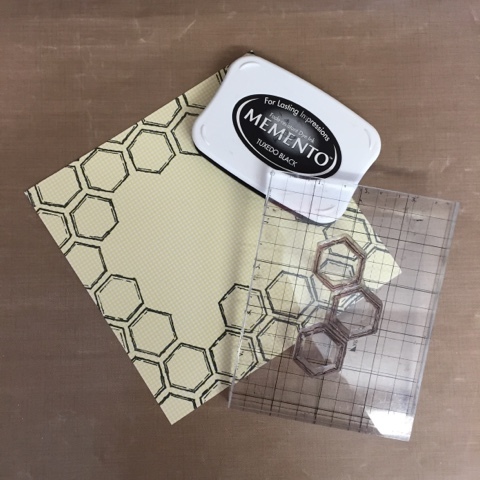 Black card stock to 6 3/4" X 5 1/2"
Yellow gingham stock to 5 3/4" X 5" (outside) and 4 3/4" X 4 1/4"
4- Using the deep yellow hexagon shape, I have drawn a light pencil line around the inside onto a piece of white smooth card stock. This gives me a guide of where to stamp into. 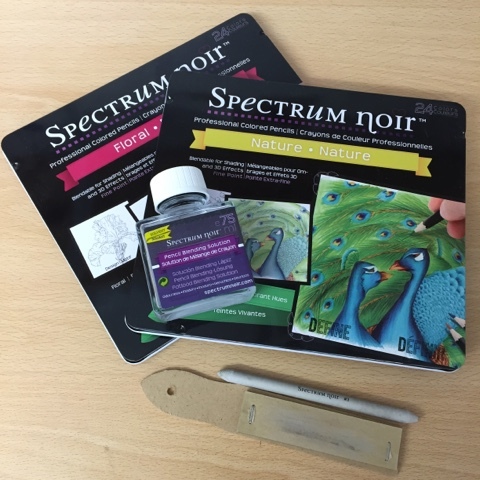 5- Using your chosen colouring medium, colour in your stamped design. In my case, I have chosen spectrum noir pencils. Once coloured, lightly rub out the pencil line. 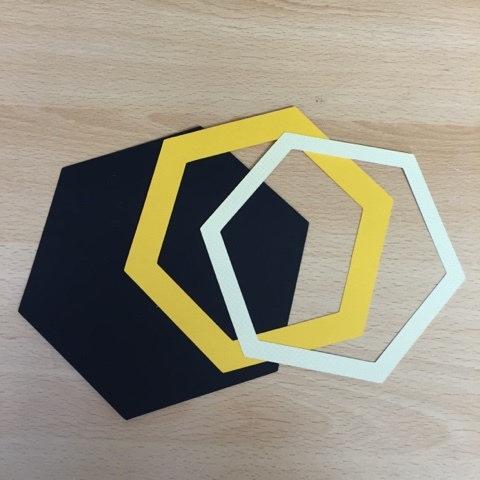 6- Using the deep yellow hexagon place onto your coloured image and attach using your adhesive. When I'm place, trim the excess off. 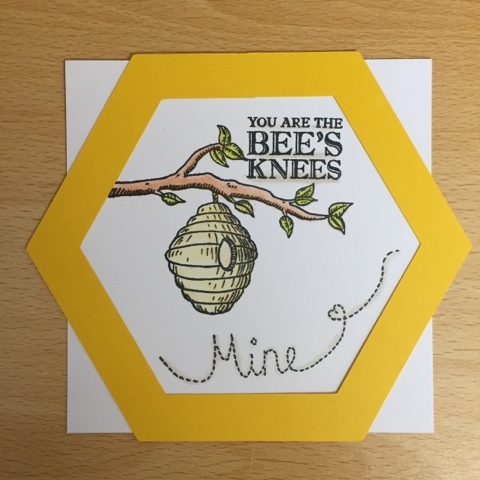 7- Assemble the additional hexagon layers and attach to the card base of the honey comb stamped yellow gingham card using 3D foam pads. 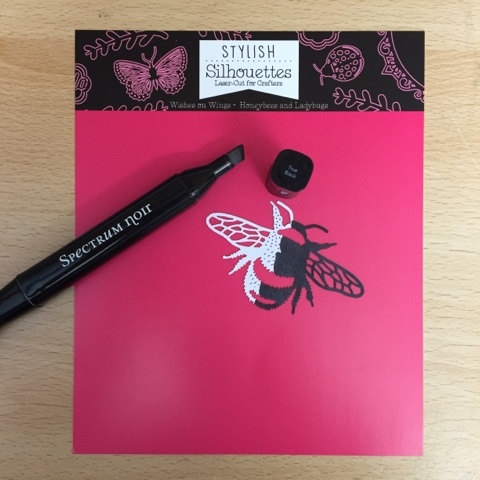 8- Take a bumble bee laser cut shape and colour in using a black permanent pen. I have used spectrum noir black pen. Attach to your card using adhesives. 9- Add a few black gems in top corner and card is complete.